Read the label when buying dried pasta. The best pasta is made of 100% semolina (the label will say durum – wheat semolina or semolia). 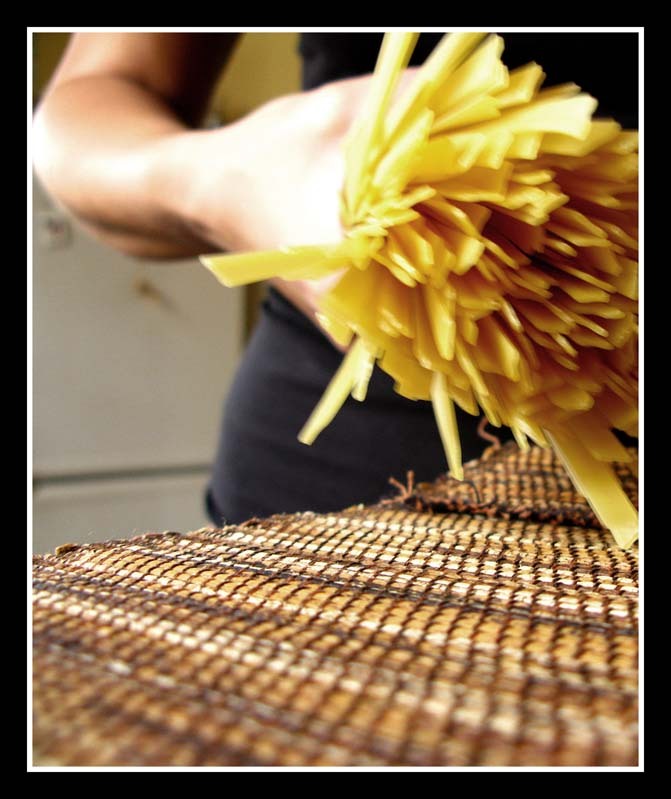 Pasta made from durum wheat retain their shape and firmness while cooking. When cooked properly they do not get mushy or sticky. Pasta that are not made with semolina produce a softer noodle and will not hold up well when tossing. Use these pastas for casserole-style dishes. Noodles are the only pasta products made with egg solids which give them a more intense color than other pasta. You may substitute for another type of pasta in recipes; but if you want to use another type, remember that as a general rule, it is best to substitute one pasta type with another of similar characteristics. It is important to match the shapes of pasta to the sauce. Flat pastas are best with thin sauces; other shapes have nooks and crannies to catch pieces of chunkier sauces. Italian brands of pasta, in general, are thicker than the American brands. Important Rule: Pasta should be prepared just before serving it. To cook pasta properly, pasta needs a lot of water. A too-small pot and too little water encourages the pasta to clump and stick together, thus cooking unevenly. For a pound (16 ounces) of pasta, you will want a pot that holds at least 5 or 6 quarts of water. Fill that big pot 3/4 full of COLD water or use at least one quart of cold water for every four ounces of dry pasta. The reason for this is that hot water will dissolve anything – including contaminants like lead – much more easily than cold water and if that water encounters something like an older leaded pipe or some rust before coming out in your kitchen sink, it could very well end up in your glass. The most common problem is water that has been sitting in your home pipes for over 6 hours. Covering the pot of cold water with a lid will help bring the water to a boil faster. Salting the water makes pasta taste better by bringing out the natural flavor of the pasta. This does not increase the sodium level of your recipes.NOTE: I always use kosher (coarse) salt. Do not add your salt until the water has come to a full boil. There are two reasons for this: 1. First, unsalted water has a lower boiling point than salted water, so it will come to a boil a few seconds faster. 2. Second and more important, salt dissolves faster in hot water. Un-dissolved salt crystals in cold water can mar the surface of your stainless-steel pots with small white dots or pits. If you are on a sodium-restricted diet, please follow your doctor’s orders. Explanation or Science of Boiling Water: Pasta added to water before it starts to boil gets a heat start on mushiness. Pasta quickly begins to break down in tepid water as the starch dissolves. You need the intense heat of boiling water to “set” the outside of the pasta, which prevents the pasta from sticking together. That’s why the fast boil is so important; the water temperature drops when you add the pasta, but if you have a fast boil, the water will still be hot enough for the pasta to cook properly. Add the pasta, all at once, to the boiling salted water, and keep the heat high to bring the water back to the boil as quickly as possible. NOTE: Never mix pasta types in one pot. To keep pasta from sticking together, gently stir the pasta in the water during the first 1 to 2 minutes of cooking. Cook the pasta, uncovered, at a fast boil. NOTE: Once you have added your pasta, do not cover the pot with a lid. You can regulate the heat so the pasta/water mixture doesn’t foam up and over the pot sides. Lower it the tiniest bit, and everything should be under control. DO NOT ADD ANY TYPE OF OIL – Oil will coat the pasta and keep the sauce from adhering. After you add the pasta to the boiling water, stir with a long wooden spoon (stirring prevents pasta from sticking to each other and from sticking to the bottom and the edge of pan). Frequent stirring with a long wooden spoon or fork while the pasta is cooking will help the pasta to cook evenly. Make sure the pieces are moving freely. Don’t rely on the package to give you the correct cooking time (this is only a guideline). Start timing when the water returns to a boil. Most pastas cook in 8-12 minutes. Test dry pasta for doneness after about 4 minutes of cooking by tasting it. It is difficult to give exact cooking times since different shapes and thickness of pasta will take less or more time to cook. Watch the cooking process of the pasta carefully. Pasta can overcook very quickly. Pasta should be tender but still firm when you eat it, what the Italians call “al dente.” To be sure, bite into a piece of the pasta (take a piece of pasta from the pan, cut off a tiny piece, and chew it in your mouth). REMEMBER – Pasta will continue to cook and soften even after it has been taken from the water. Definition of “al dente” (ahl-DEN-tay): In Italian the phrase means “to the tooth” and is a term used to describe the correct degree of doneness when cooking pasta, risotto, and vegetables. The food should have a slight resistance (chewy) when biting into it, but should not be soft, overdone, or have a hard center. Fulvia Guyger’s Italian tip for stopping cooking time: Once pasta has reached the “al dente” stage, immediately turn off your gas heat or remove the pot from the heat if using electric heat. Add approximately 1/2 to 1 cup COLD water to the hot water with the pasta. This will immediately lower the temperature of the water and stop the cooking. Because the pasta is cooked twice (boiled first and then combined with other ingredients and cooked in the oven), pasta in baked dishes should boil less time than normal. Boil until just flexible but still quite firm (usually about a 1/3 of the normal cooking time). To test, cut into a piece. Drain immediately into a large colander standing in the sink, and then pick up the colander with its contents and shake it well to remove excess water. Do NOT rinse unless the recipe says to do so. the starch that makes the pasta stick to itself also helps the sauce stick to the pasta. If you’re going to toss the pasta with the sauce immediately, sticking shouldn’t be a problem. EXCEPTION: Except when saucing with thin or brothy sauces such as fresh tomato or seafood, pasta needs to be moist to combine well. As soon as it is drained, remove it from the colander and place it either back in the cooking pan to keep warm to toss it with the sauce, or place it in a preheated serving dish or individual preheated serving bowls. Once the pasta is in the pan or bowl, use a fork and spoon and quickly toss it with the sauce. EXCEPTION: Do rinse the wide pasta, such as lasagna noodles. If you don’t, you will have a hard time separating the noodles without tearing them. Also rinse when making a cold pasta salad. The thin coat of starch on the pasta will be sticky when cold.